I am 32 years old and until this year I had never been on a rollercoaster in my entire life. Scared of heights with a sensitive stomach, I never much liked the feeling of falling quickly. I never saw the appeal of being deeply aware of how close you are to death as some pieces of metal and plastic are the only things keeping you from flying out into the sky. Things just seem so much better, firmer, more steady, down here on the ground. Last fall my work at Beacon Church, an agile, scrappy PCUSA church plant near Philadelphia, Pa., was rocked by an unexpected pivot: a major programmatic shift. Barely a year after chartering as a congregation, and five years after beginning afterschool arts and weekly worship programming, Beacon’s community was changing rapidly. The gentrification that was slow in 2011 had begun to accelerate, and we were feeling its effects, with attendance dips and swells, different first-time participants, and long-term participants moving away to more affordable zip codes. In many ways we were growing, but in other ways we were experiencing new challenges for which we felt unequipped. We did another neighborhood assessment and met with our local elementary school principal and discovered that after school programs of various foci had sprung up all over the neighborhood. The need for in-classroom literacy-help became clear. The questions were endless among the staff and board of Beacon. Could we meet that need? Would our dedicated volunteer team be able to change and commit to a morning program? Could our creative writing program be adapted to complement the teachers’ curriculum? How would our supporters and participants perceive such a shift? What if it didn’t work? The name “Beacon” has become synonymous with serving kids in Kensington. If we end up stopping children’s programming altogether, who are we? What will we do? We came back to our broader mission: “Beacon strengthens our neighborhood, its children and neighbors, through art, storytelling, and faith” and asked one final, foundational question that has been the question all along: how are we being called to live out this mission right now? The staff and session bravely decided to pivot its programming. We adapted our creative writing curriculum and brought it into all three first-grade classrooms at our closest elementary school. We shifted our art programming from weekly after school programs to quarterly evening events that allowed parents to join their kids in these creative endeavors—painting pumpkins, building gingerbread houses, and decorating Mardi Gras masks. In the midst of all this transition, a very wise person told me to “try and enjoy the rollercoaster.” She is a pastor and a pilot, and somehow enjoys flying planes for fun. Feeling overwhelmed, I laughed out loud and told her that was impossible. But her words really stuck with me, and as the opportunity arose in late January when my family and I were on vacation in Orlando, I decided to try a small-ish rollercoaster at Universal Studios. I had all kinds of expectations: that I would get sick, or fall out of the car, or scream, or even faint. I screamed—a lot—but after the first 20 seconds or so I realized, with a shock, that I wasn’t dying. I was still alive. I was firmly in a seat with strong metal bars hugging me and I was flying around like crazy, but I was okay. A few seconds later I realized I was having fun. My step kids even convinced me to go on the Hulk—the biggest rollercoaster in the park. Every ride we tried had different loops, speeds, turns, but there was something constant in the midst of it all. I was safe, I was soaring, and after every sickening swoop in my stomach, I was flying high again. Once I realized how it was possible for me to be flung all around and yet be so safe at the same time, I was able to have fun, to even delight in the experience. If we are engaging in faithful ministry, in work that makes a difference in people’s lives, whether or not they are Christians, we are necessarily going to be taking risks. If we are doing our best to be good stewards of the resources we have—money, people, time, buildings—that means that we will need to strive for efficiency and impact. That means we need to be evaluating and re-evaluating what success looks like for any given endeavor and if we are achieving it. It also usually means we need to try new things fairly regularly. Trying new things, taking those kinds of risks, is much like riding a rollercoaster for the first time: even if you know the concepts of how it goes up and down and twists and turns at high speeds, you have no idea how it’s going to feel, when the ups or downs will come, or if it’s actually going to be okay. 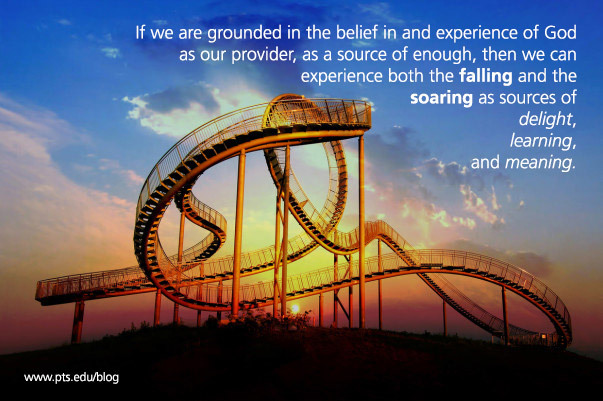 But in ministry, if we are committed to our mission, if we are grounded in the belief in and experience of God as our provider, as a source of enough, then we can experience both the falling and the soaring as sources of delight, learning, and meaning. We can take risks, both big and small, because we know that God is working in and through all for good. No matter how intense the figurative rollercoaster, God is with us, reminding us that we are beloved even in our failures, even in our successes. The Rev. Rebecca Blake is pastor and co-founder or Beacon, a PCUSA church plant near Philadelphia, Pa. Trained as a visual artist, writer, theologian, and pastor, she finds work at Beacon to be a challenging and life-giving environment where she’s able to cobble together those skills to facilitate transformation in the lives of individuals and communities. I’ve often heard successful writers say that you shouldn’t get into writing if you can imagine doing anything else with your life. And, while I never want to limit the wide manifestations of call into one particular rule—as if God speaks to us each in the same language—the way I’ve seen call, both in my own life and in the life of others, is more as a practice, a vision, or a need that just won’t let us go. When I first got into the work of church planting, I started to recognize it in my own willingness to do all sorts of things that I would have otherwise hated and would never have undertaken for lesser reasons. I went to seminary to get my Master of Divinity terrified of speaking publically, but not particularly afraid of preaching class or the fact that I was preparing the way for myself to speak publically roughly every Sunday until retirement. I entered ministry conflict averse, but knowing that for my little church plant to grow and grow healthy, I would have to engage in conflict and enforce boundaries pretty regularly, so I set about practicing and learning how to do it. As an introvert, I learned how to work a room, cold call strangers, and chat people up about not only the weather, but their hopes for their community, their children, and their vocations. As a pastor, I learned how to deal with dead mice on a trap, leaks in the basement, and the legal incorporation process. Frankly, though, these steps were not about my determination, strength of character, or will power, as much I might like to pretend they were. They happened because those challenges were small annoyances compared with the vision that had a hold of me. If they were the means to do what God was calling me to do, then I knew I had what I needed to do them, even if they weren’t always fun or comfortable. As a church planter and now as a theological educator, I always have questions for people who are interested in church planting, or really church leadership in any context, only under particular terms. That is not to say that one should ever violate one’s essential boundaries, but I’m a big believer in being open to the surprises God has for us. 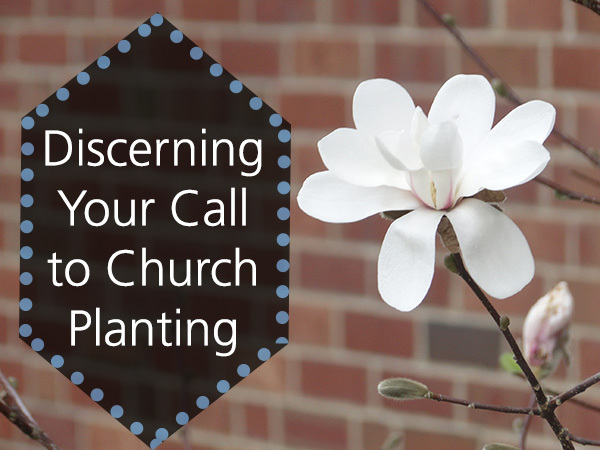 A thought that begins with, “I would never be willing to…” and ends with something that is not immoral or damaging to yourself or others, is not a great way to declare yourself called to church planting. After all, church planting is full of surprises, as we go out beyond the boundaries of where church currently is. For instance, you very well may never want to work with children. But if you refuse to imagine that God might call you to a work with children, you might miss a great gift to you as a leader and a key piece of the ministry you are called to build—speaking from experience. The truth is we worship a God so desperate to convey God’s love to us in a way that we might understand it, that God became human and submitted to an excruciating death, alone in a garbage dump on the edge of town. While the crucifixion is already done, once and for all, if we see ourselves as part of bearing that kind of powerful love into the world, we will likely find ourselves doing things and welcoming people that are difficult, surprising, or even uncomfortable. If we are unwilling to face that, we may not be ready to do the work we imagine God calling us to do. If we are willing to face it, the measure of joy and beauty set before us is likely more than we can yet imagine. The Rev. Karen Rohrer is director of the Church Planting Initiative at Pittsburgh Theological Seminary. Before joining the CPI team, Karen was co-pastor and co-founder of Beacon, a Presbyterian Church in the Kensington section of Philadelphia. The saints of Beacon taught her contextual ministry, the joy of being church, and the unique grace of being a lady pastor and boss in a neighborhood of matriarchs. The building of Beacon taught her amateur handy-woman and moisture remediation skills, and that a particular space really can be a reminder that you are loved. As director of the Church Planting Initiative, she is excited to vision new ways the church can bear good news to the world, and to support and resource the leaders God is calling forth to make it so. I didn’t recognize the risk when I first strolled out of Home Depot with several eight-foot cedar boards and posts over my shoulder. I neglected to consider the possibility of failure when I started digging up my front yard. But when the cedar boards had been cut and built into an 8’x4’ box, and made into a raised garden bed in my front yard, my wife and I suddenly realized the public nature of our experiment in gardening. A neighbor watched us work all morning. After the box was put together and the front lawn dug up, he strolled across the street to wonder out loud why we would put a garden where everyone can see it, from which children can steal produce, and perfect strangers can pass judgment. To be honest, we had not considered these possibilities when we began. We previously lived in a condo on the West coast, where yards were the luxury of the wealthy. The narrow strip of sun-bathed lawn out our front door looked like an ideal place for a garden. But our neighbor was right. The plants could be damaged by neighborhood kids looking for trouble. We might, in the end, only display our dismal gardening skills for the entire neighborhood. Perhaps we could have started smaller, in pots on our back porch. But we tried that for years living in a condo in Vancouver. And, living in a temperate rain forest, we managed to kill everything we ever planted. Our enthusiasm carried the day. We plunged ahead, our first foray in urban gardening. As we filled the raised bed with soil, other neighbors and several strangers – on their way to grab coffee or walk their dogs in the park – stopped to reflect with us on our new venture. Several people offered advice; a few neighbors and strangers gave us seeds and starter plants. Over the course of the summer, a number of elderly folks made weekly trips to our front yard to offer advice, critique, and dispense decades of hard-earned gardening wisdom. We listened, asked questions, sometimes nodded without understanding what people said to us . . . but we continued to work the soil expectantly. Some crops were failures and some seeds didn’t take. But others grew so abundantly that we gave away produce for weeks: collard greens and kale, anyone? Seriously. Anyone? It seems to me that participation in God’s mission in post-Christendom North America looks a lot like our garden experiment. While many in our congregations recognize the need to engage new initiatives—participate in church planting or discover new ways to build community in their neighborhood—we tend to minimize risk, protect our reputation, and plant little safe experiments in our back yard. We tweak an existing program. We get crazy and serve coffee before Sunday worship. And, like gardening on our condo balcony in Vancouver, we tend to reap minimal benefits from playing it safe and saving our reputations. I think the reason these safe experiments fail is because they keep our knowledge in-house, they simply work with what we already know and what we already believe to be true. They are an attempt to participate in God’s mission without the risk and disruption that comes from unexpected learning. But what if we decided to make our ignorance and uncertainty about mission in post-Christendom public? What if we decided to cultivate intentional spaces within our neighborhoods where we —the congregation or the church planter or the missional community leader—invite our neighbors to instruct us, to dispense wisdom, to share their gifts with us? Is it possible that God might lead and shape us through the gifts, wisdom, and concerns of our neighbors? Is it possible that we might be surprised where we encounter God? 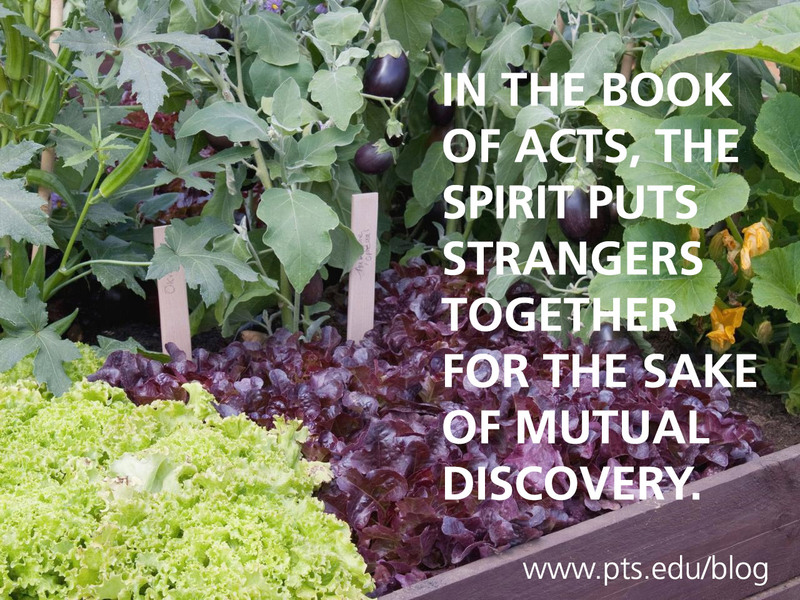 In the book of Acts, the Spirit puts strangers together for the sake of mutual discovery. Cornelius discovers God’s grace in Jesus Christ, and Peter discovers God’s acceptance of Gentiles. An Ethiopian official discovers new depths to Isaiah’s prophecies and Philip discovers the boundary-breaking grace of God. Perhaps it is time we dig up the dirt in our front yards without a full consideration of the risks it entails. Seriously . . . collards . . . anyone? Dr. Scott Hagley is assistant professor of missiology and also works with the Seminary’s Church Planting Initiative and teaches in the MDiv Church Planting Emphasis program as well as the new Church Planting and Revitalization certificate program. He previously served as director of education at Forge Canada in Surrey, British Columbia, where he worked to develop curriculum for the formation of missional leaders in hubs across Canada.